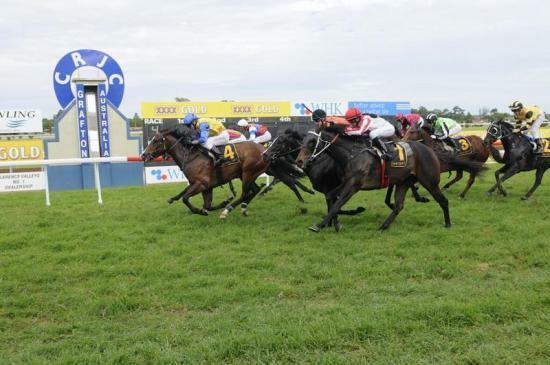 JOANNE HARDY has Just Zam in a rich vein of form with recent back-to-back wins at the Grafton and Port Macquarie courses. Taking out the $15,000 Paul Cureton – Concretor Class 2 Plate (1120m) first of all, it was Anthony Pattillo in saddle having his fourth ride but first win on the gelding. Settling close to the speed from a middle barrier draw, the son of Za-Im took over the lead turning for home and was strong enough to run out the distance and fight off the challenges from Lucky Mojo (John Shelton) and Enough Is Enough (Terry Commerford). 9 days later, it was in the winners stall yet again when Just Zam was having his first look around the Port Macquarie track. Like a professional, he wasn't fazed leading all of the way off an outside barrier to win in strong style. Just Zam holds a special spot in the hearts of Joanne & David, having nursing him as a foal when he could barely walk. It was at Clare Park and under there TLC that Just Zam was nursed back to health before being reared and broken in at the property.